SEO has developed monumentally over the past few years. It is no longer considered to be merely a beneficial practice but more of a necessity for businesses who want to excel in the modern day, and there are lots of different SEO strategies available. A good SEO plan is one that incorporates an array of different methods. The method you choose depends on the goals you aim to achieve. If you want to attain an international web presence and grow your blog business on a worldwide scale then you need to use global SEO strategies. Read on to discover SEO methods catered towards creating an international web presence. Before you begin to implement your SEO methods you need to partake in a huge amount of research. You cannot achieve your worldwide goals without doing the groundwork. After all, every country is different. The products that appeal the most in the UK won’t necessarily be the most popular products in Australia, for example. You need to unearth the different consumer trends for each country. You need to predict what countries are most likely to provide you with the highest level of traffic and sales. And don’t forget to do research regarding the search engines in different countries. When you think about a search engine your mind instantly casts to Google, however, in other, countries they may be more popular search engines. You need to consider this and divulge as much information as possible about the relevant search engines. You are probably thinking: “Language? That’s what online translation services are for!” That may be true if you want to find out what a certain phrase means, but when it comes to SEO you need to divert a lot of your attention to language. If you want to embark your brand on an international stage then you will obviously need to advertise yourself and use SEO through using different languages. 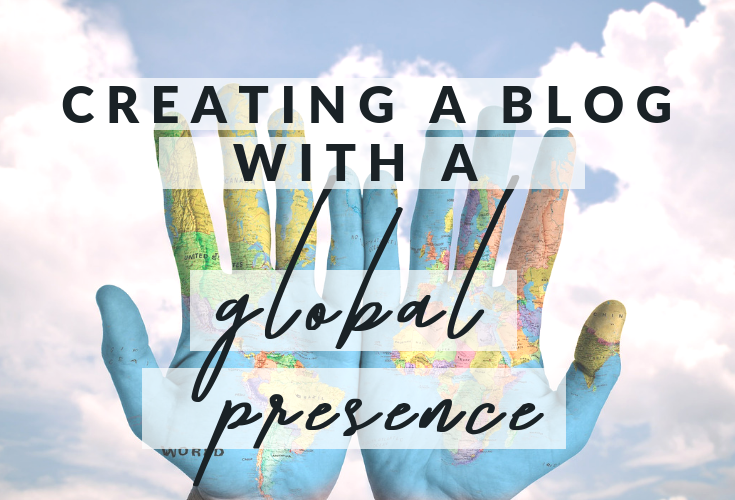 You need to speak the language of the locals on your blog. For example, ‘chips’ and ‘fries’ – they both mean the same thing to someone living in the UK. However, in one country they may only use the term ‘fries’ and therefore if you translate ‘chips’ you are not going to get the true local word. This is relevant to a monumental number of words, such as; ‘vacation’ or ‘holiday’, ‘living room’ or ‘lounge’, and ‘couch’ or ‘sofa’. It is imperative you use the words of the locals because these are the words they are going to be using when they search on a search engine. And, if your words are incorrect then no one will see your webpage. And finally, when people enter your website they should be presented with a drop-down menu whereby they can select the language they wish to view the website in. You should never merely assume. There are lots of blogs where they use technology in order to decipher where the person viewing the website is situated. They then use that knowledge and present the website in the relevant language. For instance, they detect someone is in France and, therefore, the language is automatically French. But there are lots of people who live in different countries and do not use the language of the locals. What happens if the person viewing is an Italian person simply living in France for a year? You can also use these tools to adjust your adverts accordingly. InboxDollars is a great example of this – advertising this to people in the US is great, but InboxPounds is better for those in the UK. If you research extensively, use the proper language, and think about the customers’ wants then you can use SEO effectively to reach a global presence. Digital Marketing For Artists – Is Buffer Any Good For Pinterest?